One of our most comprehensive programs, PreVU gives you a 360-degree view of everything that makes Vanderbilt one of the top universities in the world. Learn about our excellent academic programs, discover how we empower a diverse and talented student body through 430+ student-led organizations, get the facts about selective admissions and our no-loan financial aid policies straight from the officers themselves, tour our park-like campus, and meet with current students to hear what life is truly like as a Commodore. Reserved parking for PreVU attendees is available at Terrace Place Parking Garage. Shuttles will take families from Terrace Place to the Student Life Center for program check-in. Families also have the option to walk to the Student Life Center. Your visit will include a walking tour that lasts approximately one hour, so please dress comfortably. 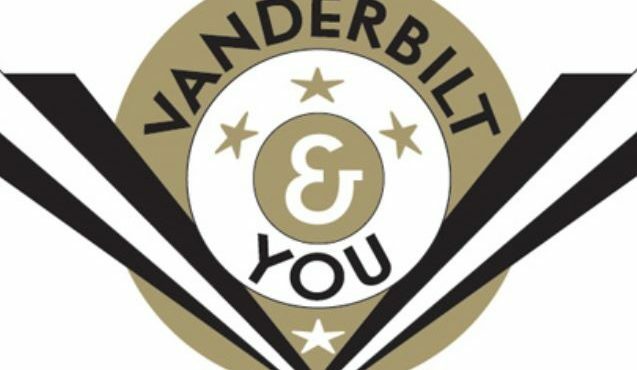 Explore transportation and lodging options via the Vanderbilt Visitors Travel Portal. Learn about campus happenings taking place during your visit. From east of Nashville: Follow I-24/40W and take exit 209A. Turn left on Broadway and stay left onto Broadway at split. Turn right on 20th Ave and take second left onto Terrace Place. The garage will be on your right. From south of Nashville: Follow I-65N to I-440W. Take exit 1 and merge onto West End Ave. Turn right on 21st Ave and take first left onto Terrace Place. The garage will be on your left. From west of Nashville: Follow I-40W to I-440W. Take exit 1 and turn left onto Murphy Rd. Turn left on West End Ave. Turn right on 21st Ave and take first left onto Terrace Place. The garage will be on your left. From north of Nashville: Follow I-65S to I-65S/I-40E. Take exit 209B and turn right on Broadway. Keep left onto Broadway at split and turn right on 20th Ave. Take second left onto Terrace Place. The garage will be on your right. Below is a map with walking directions from Terrace Place Garage to the Student Life Center. Please email prevu@vanderbilt.edu with any PreVU-related questions or contact your admissions counselor for general admissions questions.